Heterogeneous computing systems can dramatically increase the performance of parallel applications on clusters. Currently, applications that utilize GPU and APU devices, run their device-specific code only on devices of the same computer were the application runs. This paper presents the Virtual OpenCL (VCL) cluster platform that can run unmodified OpenCL applications transparently on clusters with many devices. VCL provides an OpenCL platform in which all the cluster devices are seen as if they are located in the hostingnode. 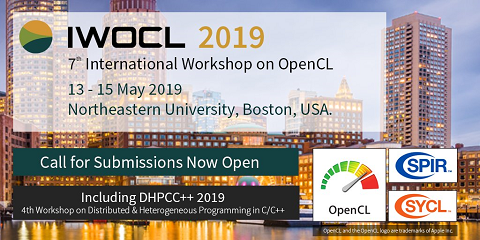 This platform benefits OpenCL applications that can use many devices concurrently. Applications written for VCL benefit from the reduced programming complexity of a single computer, the availability of shared-memory, multi-threads and lower level parallelism, as in openMP, as well as concurrent access to devices in many nodes, as in MPI. The paper presents the components of VCL and its performance.